Part II. Wood Boat Show at Skärhamn, Paula and cousin Gunnar. July. 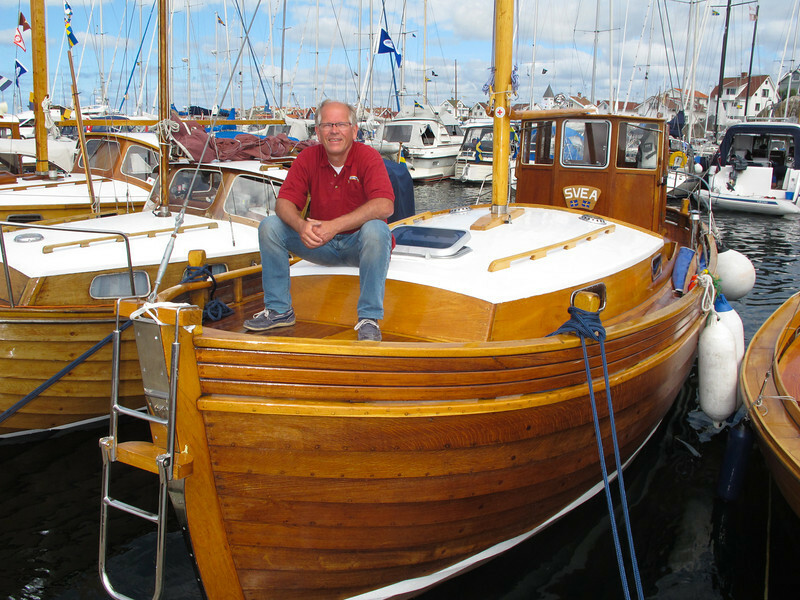 A beautiful boat to start this slideshow with......Johnny Andersson, sitting on his just completed boat, owns a marina; restores, builds old design boats such as this one and provides Winter storage at... Lilla Kalviks Båtbyggeri on island of Orust on Sweden's West Coast. Quite a boat, SVEA, is her name.